If you haven't noticed, I've fallen way behind on my blog posts. There's still so much that has transpired this year that I haven't had a chance to write about! I promise to get to everything...eventually. Over the past few weeks, I've been getting a bunch of e-mails and messages from friends, family members and readers who are planning upcoming trips to Iceland. Therefore, I've decided to skip ahead a few posts and dive right into my 2 week adventure around the Nordic island with Jen. I'll be breaking up this series into a few individual posts covering various destinations along the Ring Road and around the country. To kick things off, it only seemed appropriate to start in Iceland's buzzing capitol of Reykjavik! If you are planning an upcoming trip to Iceland, I would recommend allocating at least 1-2 full days in Reykjavik. You would be remiss if you only considered the city a quick jumping off point to the Golden Circle. If you are driving the entire Route 1, definitely plan on spending a full day in Reykjavik before and after your road trip. Trust me. Once you've spent a few days in rural Iceland, Reykjavik will quickly feel like a sprawling metropolis. I've compiled a handy list and map of our favorite places to sleep, eat, shop and visit while in Reykjavik. This list is by no means exhaustive. However, it should serve as a good starting point particularly for those short on time. Enjoy! Other than a single Hilton, the city is short on big global hotel chains. This isn't necessarily a bad thing though. There are dozens of great boutique design hotels that won't break the bank. Skuggi Hotel: A fairly new hotel situated within walking distance of Laugavegur, Reykjavik's main shopping thoroughfare. Great design, cozy rooms and complimentary breakfast made this the perfect home base for our first 2 nights in Iceland. Icelandair Hotel Marina: Situated on the city's harbor, this hotel is full of character and has an awesome restaurant for afternoon bite or tipple. The rooms may be tiny, but many of them come with a spacious balcony overlooking the old town. We stayed here on our last night in Iceland. I'll be completely honest. We had very low expectations for the food in Iceland. We were prepared for a diet primarily consisting of hot dogs, lamb's head and skyr. However, we were truly blown away by the cuisine in Iceland. Pretty much everything we ate during our trip was fresh, flavorful and downright delicious. Grillmarkaðurinn: Hands down our favorite restaurant in Reykjavik if not the entire country. We enjoyed it so much our first time around that we decided to go back again for our last meal in Iceland. Although advanced bookings are highly recommended, you can also snag a seat at the counter in front of the grill. Strike up a conversation with the grillmaster and he might just sneak you some extra portions of lamb chops, grilled lobster and chicken wings. KEX Hostel: Tucked inside an old biscuit factory, this "hipster hostel" has a great bar open to everyone. Make sure to try one of the many Icelandic beers on tap. Bæjarins Beztu Pylsur: I'm generally not a big fan of hot dogs. That completely changed when I got to Iceland. Often considered the country's "national dish", Icelandic hot dogs are uniquely different from their American counterparts. They're made mostly of Icelandic lamb and generously topped with fried onions, remoulade and a flavorful brown mustard called pylsusinnep. All together, it makes for a delicious morning, afternoon or late night snack. To find Reykjavik's best hot dog, head downtown to a Bæjarins Beztu Pylsur. This tiny food stand has been around for decades and is always packed with hungry patrons. Rejkjavik Roasters: My favorite coffee shop and roaster in Reykjavik. The friendly service and laid back vibes make this the perfect morning and afternoon pit stop. When the weather's nice, you can grab a seat out front on one of the large planks. Although not as well known for design and fashion as some of its Scandinavian counterparts, Iceland has its own unique style that rivals the likes of Denmark and Sweden. We were tempted to buy a lopapeysa, but ultimately realized that an Icelandic wool sweater wouldn't serve much purpose in Dallas or Tokyo. However, we definitely didn't leave Reykjavik empty handed. Geysir: My favorite store in Reykjavik. Although they carry a handful of great international (particularly Danish) labels, the best bets are their in-house designed clothes and accessories. I somehow managed to cram a few scarves, wool blankets and candles into my tiny carry-on. Húrra Reykjavík: Great men's streetwear shop off the main drag carrying brands like Norse Projects, Han Kjøbenhavn and Libertine-Libertine. Outdoor gear: Icelanders are used to the natural elements to say the least. From dust storms to volcanic eruptions and blizzards, you have to be prepared for pretty much every curve ball imaginable. Thankfully, they have some awesome outdoor clothing labels like 66°NORTH, Icewear and Cintamani. Penninn Eymundsson: Iceland's "go-to" bookstore with multiple locations around the city and country. Most of them are connected to a Te & Kaffi outpost so you can grab a latte while you shop. Gallery Gallera: Fun shop filled with artwork, books and shirts all designed by local artists. Bónus: Iceland's best known budget grocery store. This is where you go to stock up on an insane amount of deli meats, pastas, skyr and snacks before embarking on a road trip. The main attraction in Iceland is the breathtaking natural surrounding. 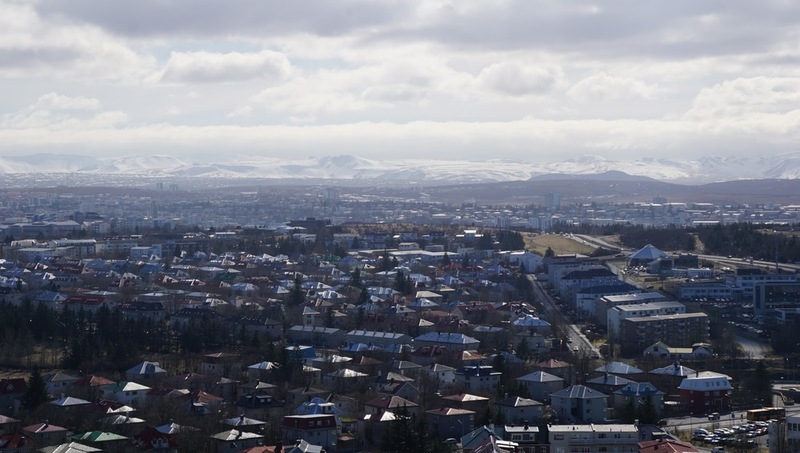 However, Reykjavik has quite a few noteworthy attractions of its own. 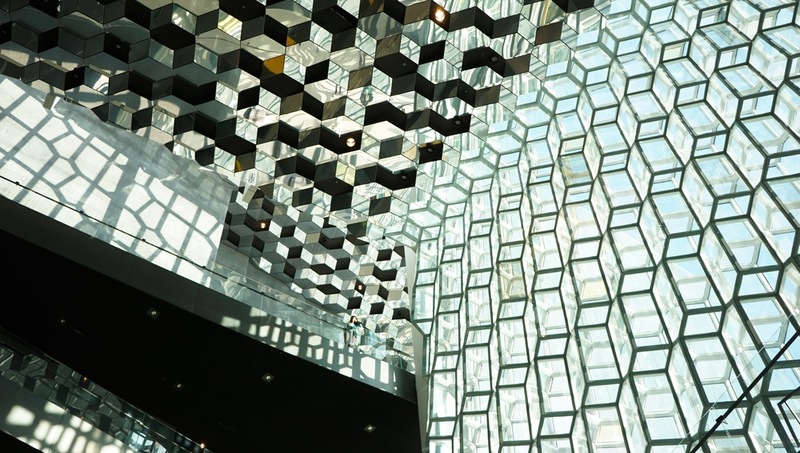 Harpa: This glass-encased concert hall sits in stark contrast to the typically understated Icelandic architecture that is prevalent throughout Reykjavik. Visitors are free to explore the airy interiors and peruse the handful of gift shops on the main floor. Hallgrímskirkja: Undoubtedly the most most iconic building in Reykjavik, the church towers over the city. Its white concrete exterior inspired by basalt formations creates an imposing yet beautiful figure. Make sure to visit the observation tower at the top of the church for panoramic views of the city. Solfar Sun Voyager: The metal structure itself isn't all that exciting. However, its location right on the water's edge creates a beautiful backdrop from sunrise to sunset. 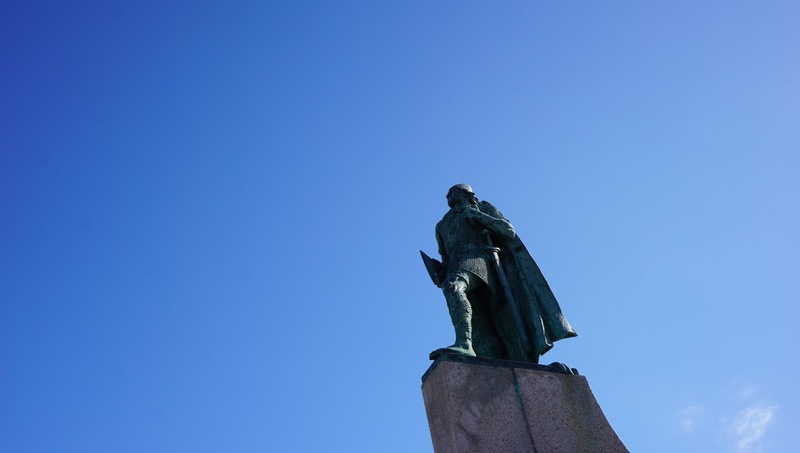 CityWalk: If you're looking for a fun way to explore the city and learn a bit more about Icelandic history, make sure to join this free walking tour. The guides are all very knowledgeable and personable. Last January, I posted my first annual "Where to Go" list. Of the 6 places that made it to the 2015 edition, I managed to visit just 2 of them. I clearly wasn't ambitious enough last year, so I've decided to more than double the number of destinations for 2016. All of them were selected for a variety of reasons, from new art installations to presidential elections. Just going through the process of compiling this list has reaffirmed my love for travel. While It's highly unlikely I'll visit all 16 destinations this year, there's no harm in trying! One of my favorite pastimes is virtually exploring Central Asia in Google Maps. I love zooming in as close as possible on tiny, obscure towns. I'm not sure what I'm looking for, but I've always been fascinated by the 'Stans. Their strategic position along the ancient Silk Road have made these countries a melting pot of religious, political and even culinary influences. Sadly, their most recognized cultural ambassador is the fictitious Kazakshstani reporter, Borat. Of all the 'Stans, Krygyzstan is perhaps the most accessible (and ruggedly beautiful). Unlike its neighbors, Kyrgyzstan does not require tourists from most countries to apply for a visa. The country also has a great community-based tourism network, so visitors can easily connect with local guides and homestays. Some of China's most breathtaking terrain and fascinating ruins are further inland, far away from the country's eastern megacities. Not surprisingly, travelers will discover many of these landmarks (like Jiayuguan's Great Wall Fort pictured above) along the aforementioned Silk Road. I've been eager to join an overland tour that traverses China's Gansu and Xinjiang provinces. I've been a bit reluctant to visit urban China again given the country's notorious pollution, traffic and overpopulation. However, as far as Chinese megacities go, Chengdu has a "modest" population of just 14 million residences. The provincial capital is known for its relatively relaxed vibe, delicious Sichuan cuisine and abundance of pandas. Like many burgeoning Chinese cities, Chengdu is rapidly evolving, so who knows how long many of the region's greatest traditions will be preserved. It's no surprise that many of London's earliest and finest specialty coffee shops (Flat White, Kaffeine and Allpress to name a few) were started by Antipodean expats. Aussies (and Kiwis) know their coffee. Despite some heavy competition, Melbourne is regarded as the top coffee destination in Australia. With more and more direct flights launching from London Heathrow, DFW and LAX, traveling Down Under has become considerably faster. Now all I have to do is schedule a trip during the Australian Open. Although I've visited Sapporo before, I don't think my 2 day stop in Hokkaido's capital did the province justice. This northernmost island is considered Japan's "final frontier". From unspoiled nature and powdery white slopes to indigenous Ainu culture and fresh seafood, Hokkaido has so much more to offer. For 2 weeks this June, Lake Iseo will be home to The Floating Piers. This temporary installation is the work of Christo, best known for previous large-scale environmental works of art (The Gates in 2005) he created with his wife, Jeanne-Claude. Prior to my Iceland road trip, I'm planning on making a stop in Faroe Islands. This lesser known Atlantic archipelago is arguably just as dramatic (and rocky) as its neighbor to the west. Surprisingly, this diminutive country has quickly become one of the top destinations for Nordic cuisine. In need of some creative inspiration, Michael and I are planning a short trip to Rotterdam for our next weekend city break. While Amsterdam may get most of the attention, Rotterdam is arguably Netherland's foremost hub of design and creativity. Binge watching Narcos set Michael and I down a dangerous rabbit hole of Google searches. What is the crime rate in Colombia? What is Medellín like today? We were surprised to find that this once crime-ridden drug capital of Colombia has become one of the country's most innovative and revitalized cities. The Galápagos Islands are another destination we long considered too far and too difficult to reach. Thankfully, American Airlines just launched daily direct flights between Dallas and Quito, making these tiny, biodiverse islands off the coast of Ecuador that much easier to get to. Now we're one step closer to rubbing shoulders with giant tortoises, blue footed boobies and seals! This one is a bit of a no-brainer. With the recent travel embargo lift, there will soon be a rush in US commercial flights to Havana. As tourism skyrockets and commercialization takes hold, it's best to visit Cuba ASAP before it "changes". Ever since we met our friends Courtney and Peter, we've been eager to visit San Pedro. Not only is Belize a short flight away from multiple US cities, it also offers agreeable weather year-round and clear, blue water perfect for scuba diving and snorkeling. All this makes for a perfect short break destination. Why am I so keen on visiting a city I lived in for 7 years? Because it's an election year! Every 4 years, a certain sense of excitement (and anxiety) descends upon our nation's capital. DC also happens to have an innovative food scene that continues to grow and evolve. There are so many new spots like Rose's Luxury, Compass Coffee and Maketto that I'm eager to try as well as some old favorites like Rasika and The Tombs that I'm excited to revisit. Here's another old stomping ground I'm hoping to revisit soon. I spent a year in New Orleans while working on a project with Deloitte. Since then, I've been craving the city's unrivaled Cajun cuisine. Adding to an already vibrant food scene, the revamped St. Roch Market opened last year, complete with a dozen plus local food and coffee vendors. New Orleans also gets its very own Ace Hotel this spring. This archipelago just north of Seattle is home to beautiful vistas, endless outdoor adventures and laid-back towns. With mild weather year-round, it offers the perfect escape from the daily grind. Merry Christmas, everyone! To go along with today's Best Market of 2015 post, I thought I'd share some photos from our recent trip to the #1 spot on the list: the Cologne Christmas Markets. For over a month, the German city plays host to dozens of holiday markets, from tiny local stalls to the sprawling, picturesque Cathedral Christmas Market. Although the whole experience can get a bit over-the-top (especially on weekends when the markets are most popular), there's something special about Christmas markets in Germany. Make sure to come hungry, because the food is the real star of the show! A few of our favorites were the reibekuchen (potato pancakes with apple sauce), flammkuchen (German flat bread pizza), curry wurst and sauteed mushrooms with sour cream. As I mentioned a few weeks back, I had a bit of a passport mishap at Heathrow airport right before our flight to South Africa. This delayed our trip until after the bank holiday, when I could finally visit the US embassy in London. As anyone who has ever been in a similar situation knows, the feeling of literally being turned away at the gate right before your dream vacation is devastating. Our bags were already packed and our minds firmly in vacation mode. I couldn't bare the thought of going back home and waiting out the weekend. Hopelessly staring at the British Airways agent, I made an impulsive decision and asked him to book us on the next available flight to anywhere in continental Europe. Our choices were Madrid or Amsterdam. We prefer ham over hash (just barely), so we chose Madrid. It's times like these when rewards points really come in handy. We were able to reserve 2 free award nights at the Westin Palace conveniently located near all the top attractions in Madrid. In a matter of minutes, our flights and hotel accommodations were booked. Woohoo! However, we had no clue how we would spend the next 2 days in Madrid. This was truly a spontaneous, spur of the moment trip. Find out how we spent the weekend in Madrid aimlessly wandering the city and eating our feelings! We woke up on Saturday with no clue how we would spend the day. Michael and I researched a few top attractions over breakfast at the Westin's beautiful La Rotonda. I had previously visited Madrid when I was a teenager but had no recollection of that trip. Therefore, we decided to join a hop-on-hop-off bus tour to get acquainted with the Spanish capital. Although Madrid may lack an iconic landmark like Big Ben or the Eiffel Tower, this city has no shortage of grandiose boulevards, sprawling parks and dramatic monuments. Our first stop of the day would be Museo Nacional del Prado. We booked our tickets online and visited early in the day before the crowds really picked up. Visiting the Prado takes me back to my high school Humanities class. I vividly remember learning about many of the museum's most famous works of art, including Diego Velázquez's Las Meninas and Francisco Goya's The Third of May 1808. Unfortunately, we don't have any pictures from the museum as photography is not permitted inside. After a full morning at the Prado, we headed to Mercado San Miguel. At the point, our spirits were still pretty low from yesterday's unfortunate events. Thankfully, our moods quickly changed when we saw the wall of jamón ibérico. The bustling market is nothing short of sensory overload. For just a few euros, you can afford yourself a delicious meal of perfectly fried padrón peppers, grilled seafood and a cerveza. However, make sure to save room for huevos rotos. I'm still shocked that this simple yet insanely delicious dish of potatoes, fried eggs and thinly sliced ham hasn't made it big in the states yet. We followed up lunch with visits to the Royal Palace and the Reina Sofia Museum. While the Royal Palace is undeniably beautiful, I wasn't blown away by the official residence of the Spanish Royal Family. Each room in the complex was more ostentatious than the next, but the overall experience wasn't particularly memorable. In contrast, the Reina Sofia is one of my favorite museums in Europe. Its airy interior gallery makes the museum feel spacious and uncluttered. More importantly, the museum has an amazing collection of 20th century art. The Reina Sofia's most notable work of art is Picasso's larger-than-life Guernica. We capped off the day with a late night meal at Taberna la Dolores in central Madrid. As expected, the city is brimming with tiny, no-frills tapas bars. We found a spot at the counter, ordered a few beers and snacks and enjoyed some local people watching. We originally planned to spend the day exploring some neighborhoods in Madrid. Yet again, we changed plans last minute. That morning, we decided to visit Segovia. This historic town is only 30 minutes away from Madrid by train, making it the perfect excursion for visitors. Upon arrival, the first thing you notice is the imposing Roman aqueduct that almost seems like a gateway into the cobblestoned town. After grabbing some pastries from a small bakery in the town square, we decided to explore Segovia by foot, zig zagging up and down its tiny alleys. Our walk led us to the Alcázar of Segovia. Reminiscent of the Disney castle, this grandiose fortress offers spectacular panoramic views of the town. After a few hours in Segovia, we decided to make our way back to Madrid late that afternoon. While we avoided the outdoors entirely on Saturday, we decided to visit Retiro Park upon our return. This expansive park has some beautiful tree-lined pathways, gardens and monuments. It's also home to the funky Crystal Palace, which showcases a rotating art exhibit. Next door is Velázquez Palace, also home to some great art installations. With a very early flight the next morning, we decided to make it an early night. We grabbed a quick bite at another tapas bar, Los Gatos. While it wasn't our favorite meal in the city, you can't go wrong with a little jamón y cerveza. We were devastated that our trip to South Africa was temporarily delayed, we really couldn't ask for a better "detour" than Madrid. When we first began planning our trip to South Africa, we were dead set on visiting Cape Town, the Garden Route and Kruger National Park. Everyone we spoke to told us to avoid the country's bustling, crime-ridden capitol of Johannesburg at all costs. However, Joburg is the commercial hub of the country and most international flight routes connect through the city's O.R. Tambo International Airport. We ultimately settled on a one night stop-over in the city at the tail-end of our trip before heading back to London. Big mistake! Looking back, we now wish we had spent more time in Joburg! It's unfortunate that this vibrant, culturally rich metropolis hasn't quite outgrown its violent reputation. While Joburg may lack Cape Town's natural beauty, it more than makes up for it with its outstanding culinary, art and design scenes. The South African capitol is transforming once again by reconnecting with its roots and reclaiming its once downtrodden downtown. If you're strapped on time, we've shared a few ideas for maximizing your time. Ultimately, you need more than just one day to explore all that Johannesburg has to offer. Start the morning off in Braamfontein. This once dilapidated neighborhood in central Joburg is a great example of the revitalization happening throughout the city. Thankfully, it's also home to one Joburg's best coffee roasters and espresso bars. Kick off the busy day with a flat white at Father Coffee, where you'll immediately find yourself surrounded by the city's "cool crowd". Once you've gotten your caffeine fix, head on over to the bustling Neighbourgoods Market next door. Set inside a multi-floor building complex, this weekly market brings together an amazingly diverse array of local food and crafts vendors. Come hungry, because there is no shortage of farm fresh foods and inventive global cuisines here. A few of our favorites were the fried chicken and watermelon from Sumting Fresh and the delicious Balkan Burger. Make sure to grab some wine from Lazanou Organic Vineyards and head up to the rooftop for some live music. Keep in mind that the local market is only open on Saturdays from 9 to 5. In case you haven't eaten enough, it's time to hop from one market to the next. Hidden behind forlorn brick walls and giant steel gates is an entire district of historic industrial warehouses called The Sheds @ 1Fox. On weekends the space comes alive with food stalls, pop-up art galleries, vintage finds and live music in a courtyard concert space. Future plans for a permanent restaurant, bar and event space should keep the crowds coming throughout the week. After a bit of outdoor drinking and live music, hop in an Uber and cross into Maboneng, meaning "Place of Light". Visit the neighborhood's plethora of independent shops and wander the endless galleries and artist workshops of Arts on Main. If you have a bit more time, consider scheduling a Mabeoneng walking tour. Hopefully you're finally full, because it's time to switch gears a bit. When you enter the Apartheid Museum, your ticket will read Blankes 'Whites' or Nie-Blankes 'Non-Whites' to designate which entrance you must walk through. The museum takes visitors from the beginnings of apartheid through to it's historic repeal in 1991, the right for non-whites to vote in 1993 and the cultural effects still felt today. You could easily spend multiple hours in the museum, reading, watching and listening to the devastating personal stories from this dark period in the country's history. After visiting the museum, drive further west to Soweto. During apartheid, this township rose out of the eviction of black South Africans from the borders of Johannesburg and into gold mining land. Today the township has a population of over 1.3 million residents who speak up to 12 languages or dialects. Tourists who recognize the township for its dizzying maze of metal roofs and shanty towns may initially be reluctant to visit. However, upon arrival, you quickly realize how friendly, safe and diverse Soweto really is. Residents are proud to call this cultural melting pot home. It's time to slow things down a bit after a hectic, productive and eye-opening day. Drive north to the suburban neighborhood of Parkhurst. For better or worst, this trendy, upscale neighborhood sits in stark contrast to downtown Johannesburg and Soweto. Its pedestrian-friendly streets are lined with boutiques, cafes and restaurants. Walk up 4th Avenue and enjoy a candle-lit al fresco dinner at Coobs, which serves up delicious, un-fussy contemporary cuisine. After dinner (and perhaps a few post-meal cocktails), it's time to call it a night. Your home for the evening is the The Winston Hotel in nearby Rosebank. This boutique hotel oozes character with its friendly hospitality and colonial ambiance.